They’ve made it! – Huge success of Irish prison service in Dochas Centre in Dublin! We have already doubted if it will be possible. Twice she talked to two Governors. We were afraid that this will be to much to handle for Irish prison service in Dochas Centre in Dublin. Maybe it will be too difficult. Maybe it will be too complicated. Maybe it will require too much effort. And finally… There it is! …Only in the moment, when everyone lost their hope. Maybe this was a tough inner struggle. 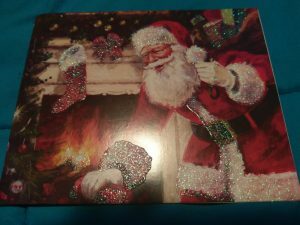 Only 32 more postcards sent by Martha on mid December 2018. GREAT SUCCESS OF IRISH PRISON SERVICE IN DOCHAS CENTRE IN DUBLIN!